Incredibly detailed beach rose (rosa rugosa) leaves individually crafted from my own original molds are composed of .999 pure fine silver, signed and stamped with silver content on the reverse side. 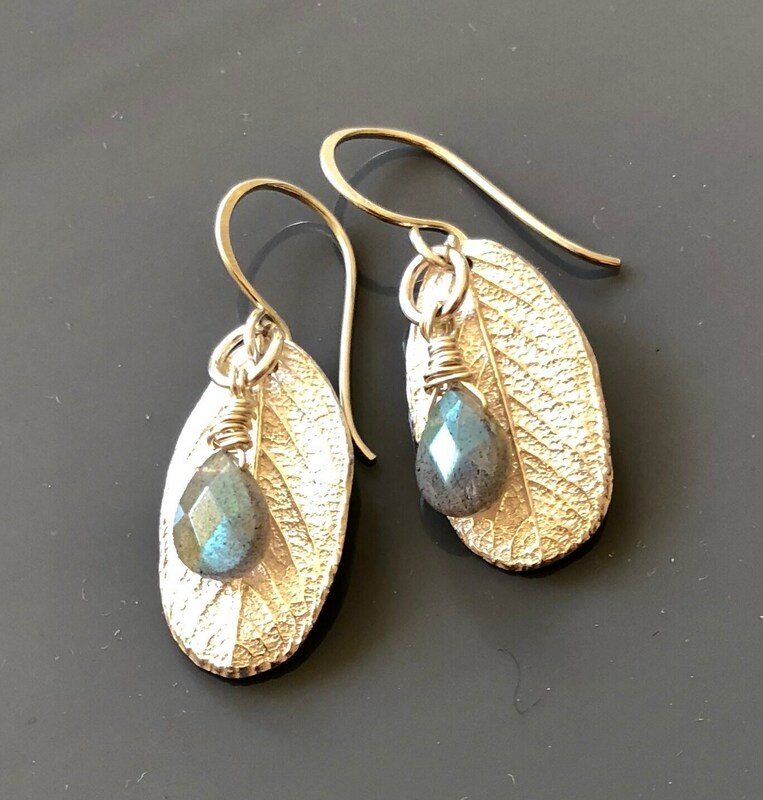 Suspended from my own handmade sterling silver earwires, sterling wire-wrapped faceted blue flash labradorite teardrop beads dangle in front of the leaves, full of fire and flash. The total length of these wonderful earrings is approximately 35mm or about 1-3/8 inches measured from the top loop of the earwires.